In the early-1970s, there were only a few hundred Australian centenarians. Today, we’re lucky to have 700 men and 2800 women aged 100 or over. On current life expectancy, one in forty babies born today will become a centenarian. One of the privileges of being a local member of parliament is the chance to congratulate centenarians. 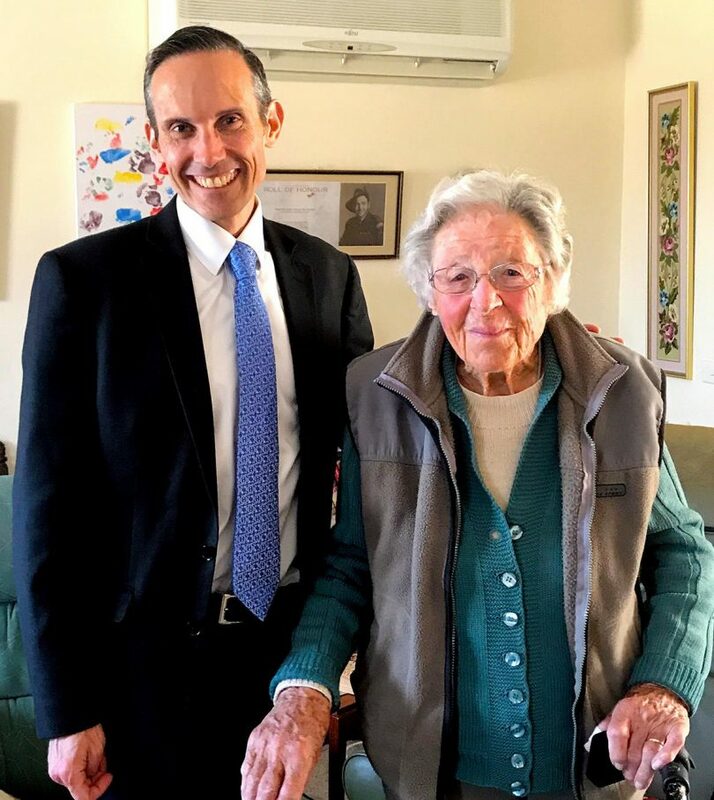 Recently, I popped in to wish Giralang resident Sheilah Barrie a happy 100th birthday. Chatting with Ms Barrie was a reminder of how our city has changed and evolved. She moved here in 1925, when her father took a job as driver for Sir John Butters, head of the Federal Capital Commission. The predecessor to today’s National Capital Authority, the Commission oversaw the completion of Old Parliament House, Albert Hall and the Lodge. Reflecting the affectations of the era, his driver wore leather gloves and boots even on the hottest summer days. Born before the end of World War I, Ms Barrie recalls the deprivation of the Depression, when oranges became a luxury. She lived through World War II, and the Korean War – where her brother was killed north of the 38th parallel. The family still hopes that one day his remains – which now lie in North Korea – might be brought home to Australia. One of Ms Barrie’s childhood homes is now under water. For some years, her family lived near the Acton peninsula, in an area that was filled when the valves on the Scrivener Dam were closed in 1963 to create Lake Burley Griffin. All that visibly remains of the home today is a memorial by the water’s edge, near the National Museum. Chatting with Ms Barrie, I was struck by her continued love of life and family, and curiosity about the world. She asked me what I was doing to fix up the Giralang shops, wanted to know about federal politics, and insisted on walking me to the door when I left. Keen to follow in Ms Barrie’s footsteps, I asked for her tips on living a long and healthy life. First, don’t eat junk food, she told me – adding that she only recently learned what ‘KFC’ was. Second, go to bed early. Third, spend time with family. Ageing is sometimes characterised as a ‘problem’. Sure, it presents challenges to our economy and society. But growing old gracefully certainly beats the alternative!